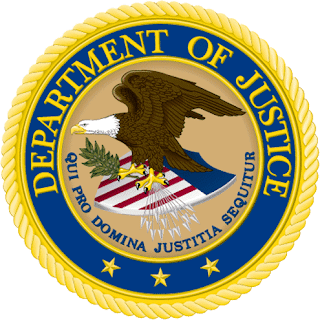 The Civil Rights Division of the US Department of Justice is seeking experienced attorneys for the position of Trial Attorney in the Criminal Section. The Criminal Section prosecutes criminal civil rights cases, including Hate Crimes,deprivation of rights under color of law, and Human Trafficking offenses. Attorneys in this position would have substantial opportunities to do Human Trafficking cases along with other Criminal Civil Rights cases, and attorneys for the specialized Human Trafficking Prosecution Unit within the Criminal Section are generally selected from within the Criminal Section. These positions are based in Washington, DC and require significant travel. Job Description: The core duties of a Trial Attorney in the Criminal Section include investigating alleged violations of federal criminal civil rights statutes (including statutes prohibiting official misconduct, hate crimes, involuntary servitude, and violent interference with abortion rights) and conducting grand jury investigations and trials in federal district courts around the country. The complexity of the matters assigned, and the level of supervision required, varies depending on the Trial Attorney's years of specialized experience. Requirements: Applicants must possess a J.D. degree, be an active member of the bar in good standing (any jurisdiction), have a minimum of three years post-J.D. experience. Applicants must demonstrate superior oral and written communication skills (including strong advocacy skills), possess excellent academic and professional credentials, and [have] outstanding professional references. Applicants must also demonstrate exceptional interpersonal skills and professional judgment, and be able to excel in a fast-paced, highly demanding environment. Necessary Experience: The Criminal Section seeks candidates with significant litigation experience and a demonstrated commitment to public service and/or civil rights. Applicants with one or more of the following qualifications are preferred: 1) first-chair criminal defense experience; 2) criminal or civil jury trial experience; 3) federal criminal or civil litigation experience; 4) experience with complex investigations, especially in utilizing investigative grand juries; 5) demonstrated commitment to public service through employment or volunteering; 6) demonstrated commitment to civil rights and/or human rights issues; 7) substantial knowledge of federal constitutional law; 8) fluency in Spanish, Chinese, Korean, or South East Asian or South Asian languages; or 9) judicial clerkship experience. Salary: Within the GS-14 to GS-15 range ($105,211 through $153,200 per annum). How to Apply: Applications for this position are being processed through an on-line application assessment system that has been specifically configured for Department of Justice applicants. Deadline to apply: 2/18/2010. Click here to obtain more information and to apply.